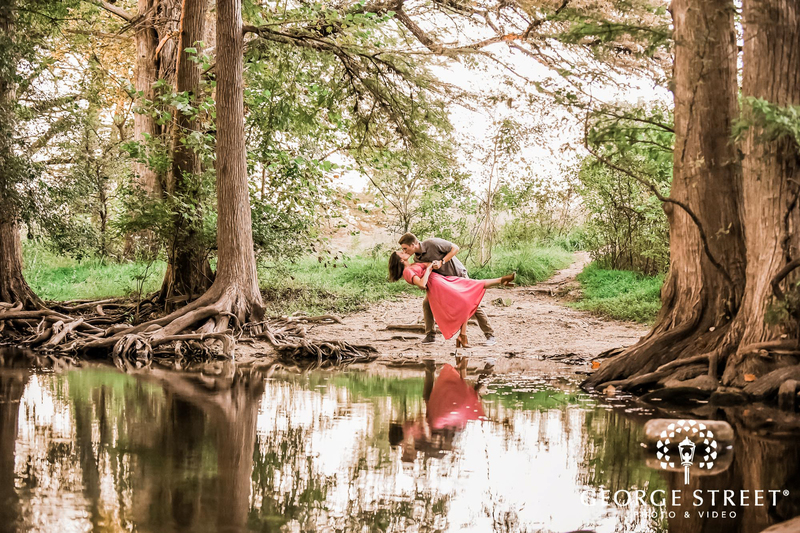 We can’t help but sigh at this swoon-worthy engagement shoot! 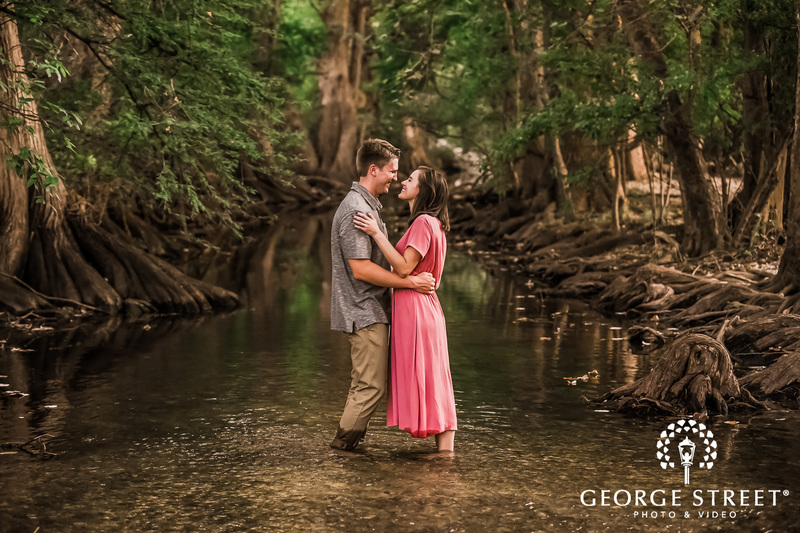 Brett and Emily, our San Antonio couple, proved that there’s nothing you can’t achieve with picturesque views, a few props and the love of your life by your side. 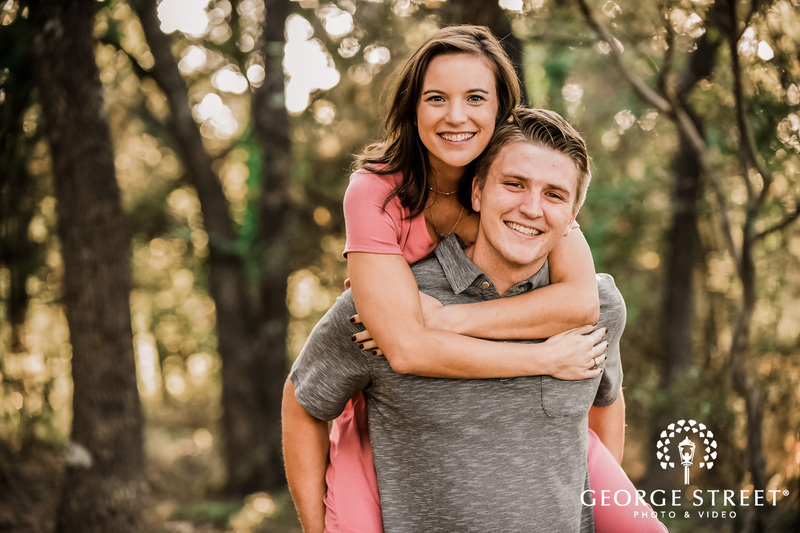 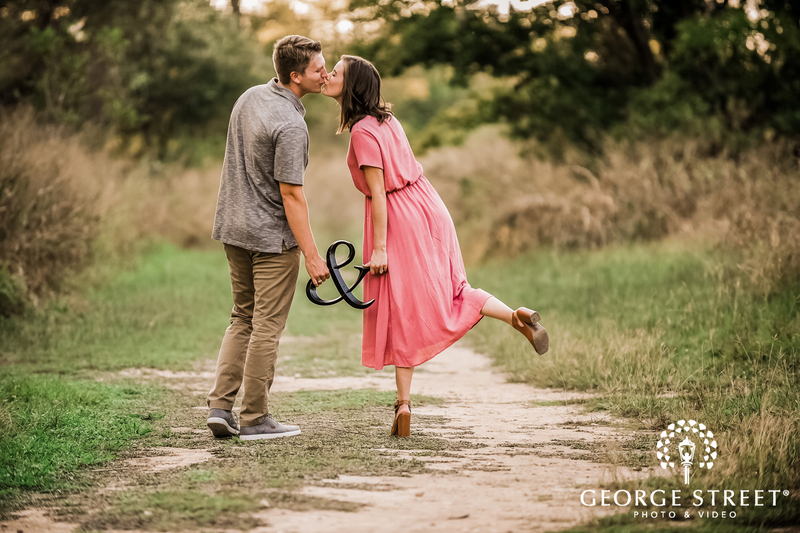 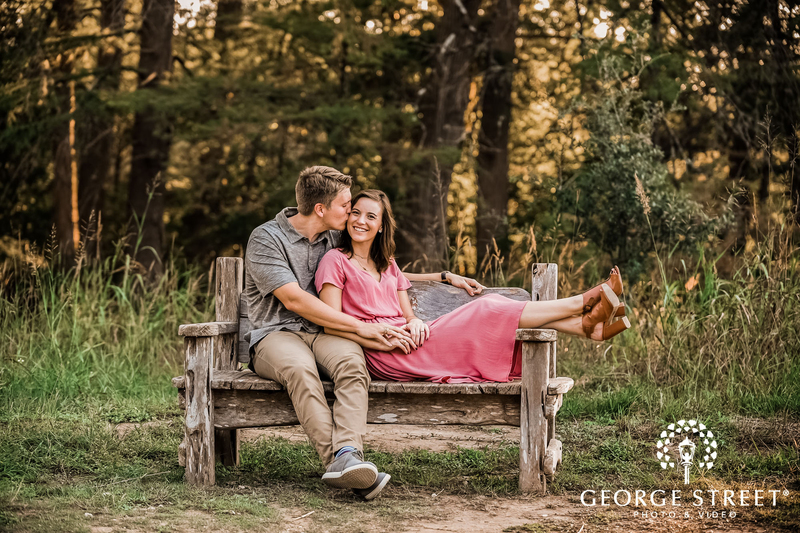 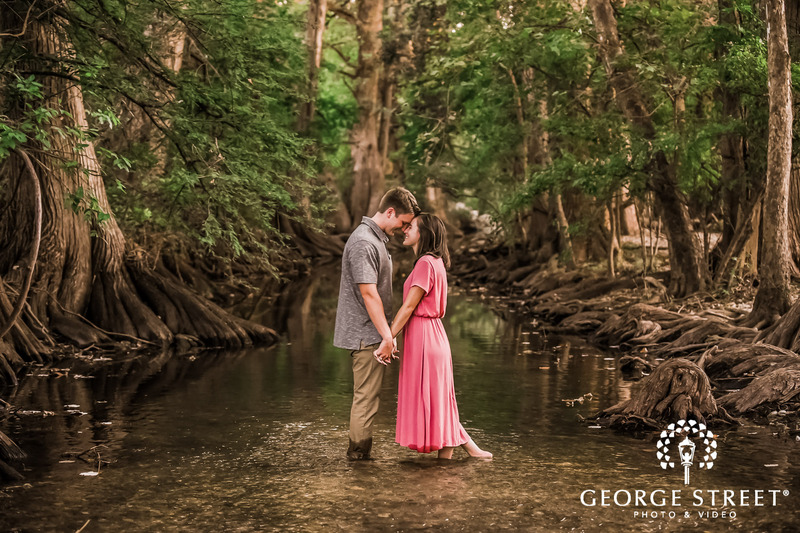 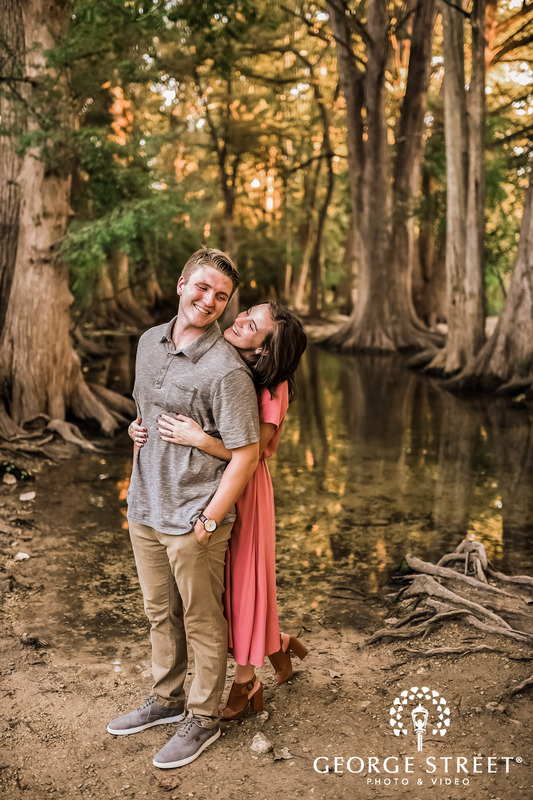 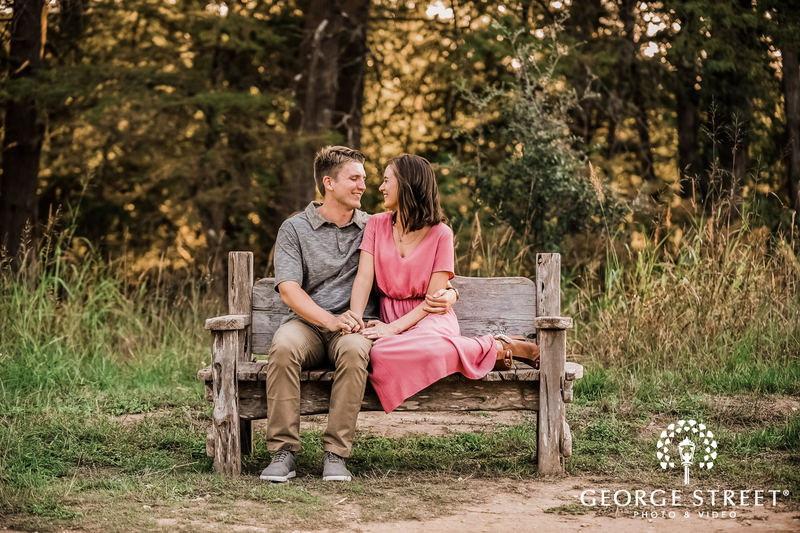 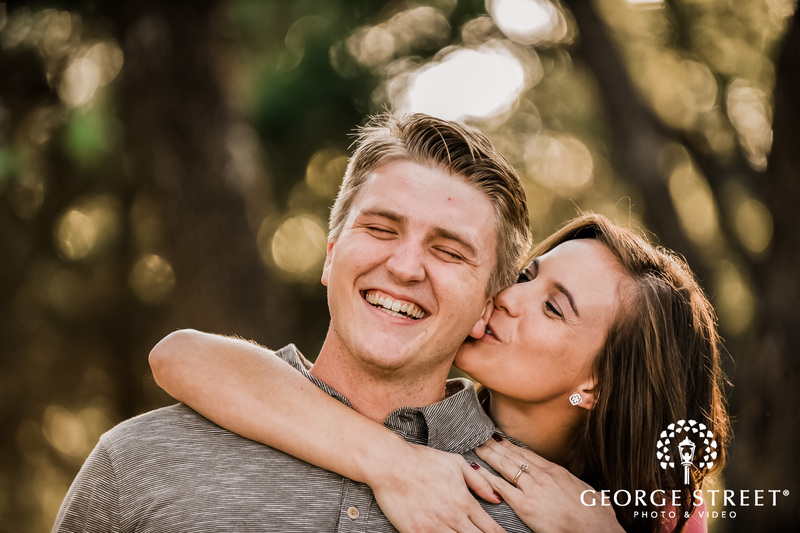 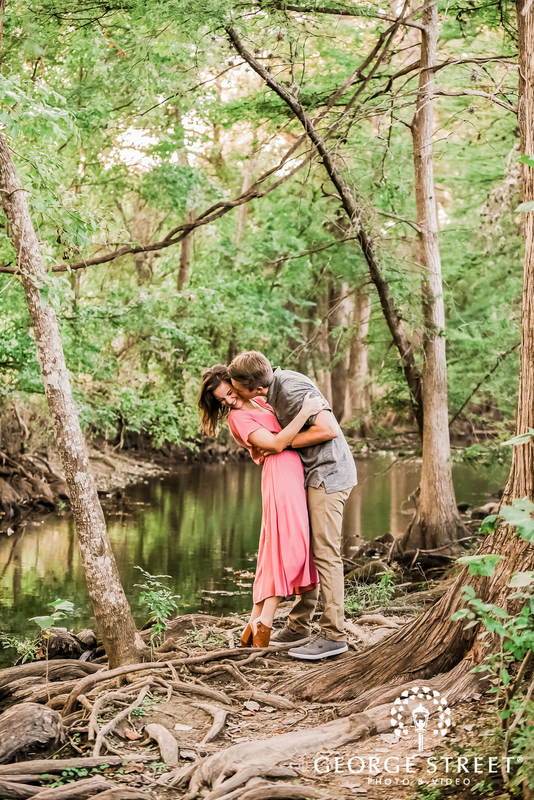 The lovebirds chose the rustic, woodsy terrain of the Cibolo Nature Centre as the inspiration for their engagement shoot! 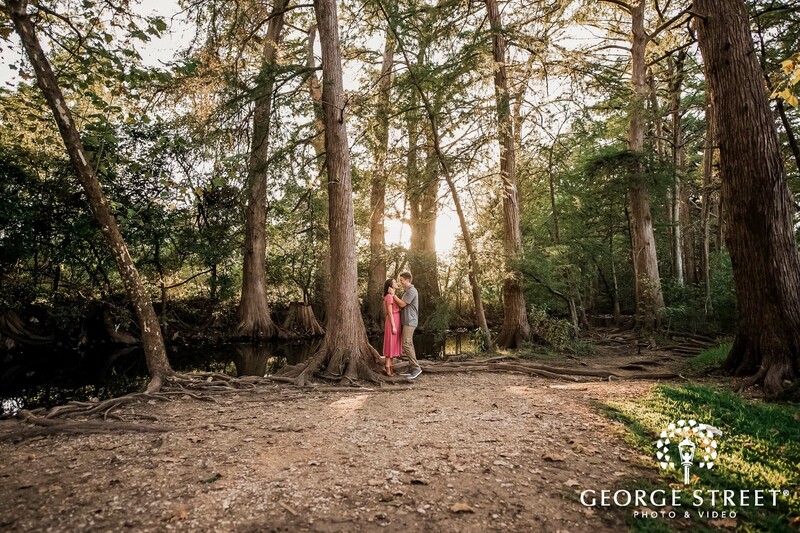 And we absolutely adore how their engagement photographer captured the couple against the ethereal glow of the setting sun. 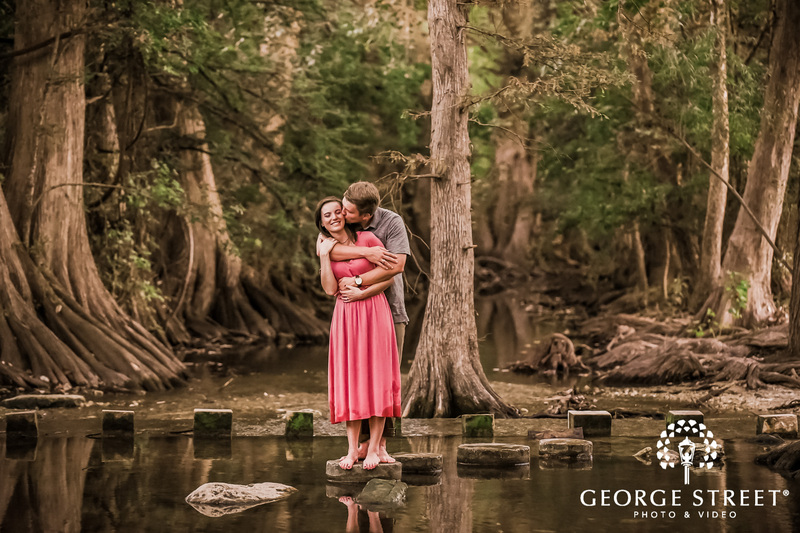 Emily and Brett's adventurous streak was captured as the pair was photographed on a stone walkway that showed off their reflection in the water. 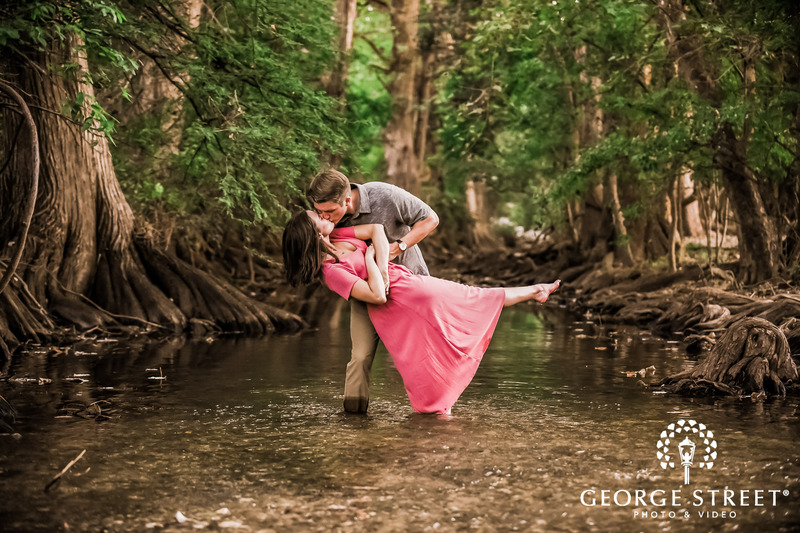 Emily even brought out a pop of color to the earthy tones of the setting by donning a soft, flamingo pink flowing dress. 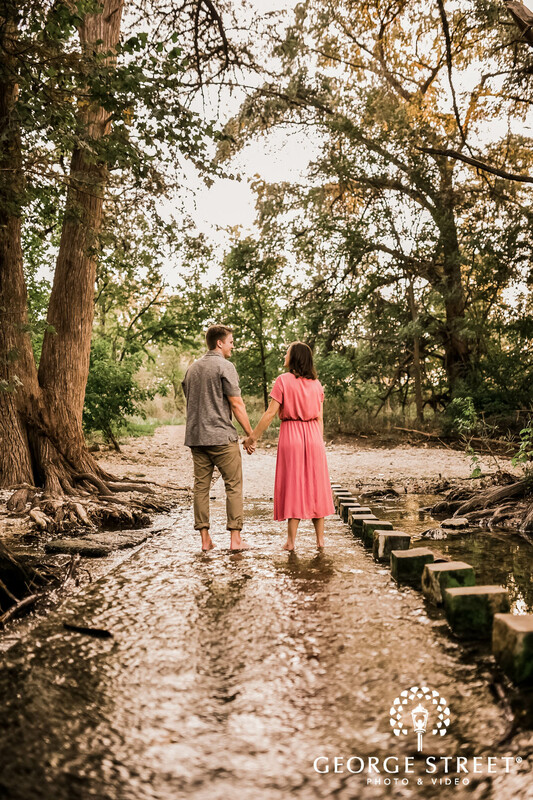 She paired her super chic look with brown clogs. 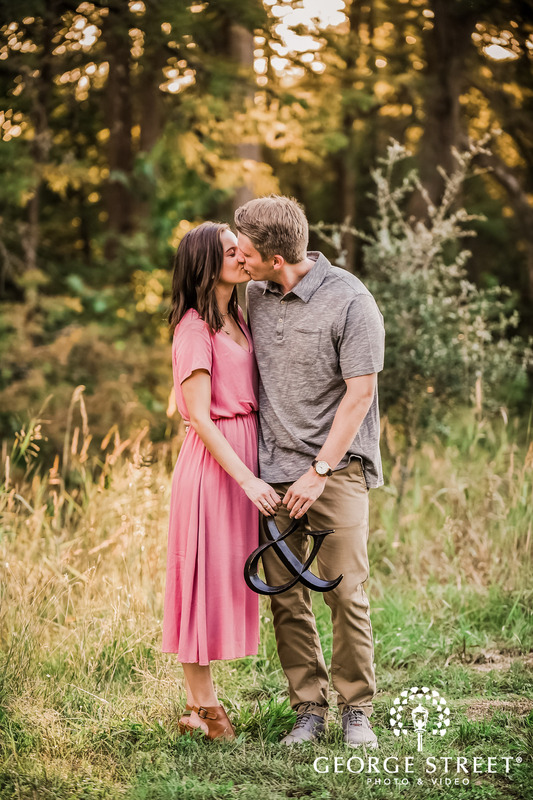 Brett, too, chose casual attire, donning jeans and a grey shirt to complement the laidback setting. 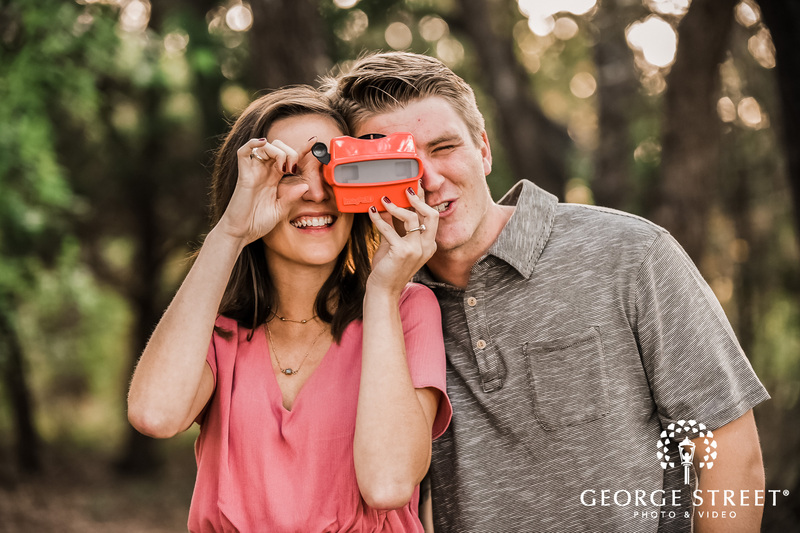 We just can’t get enough of the props used in the shoot! 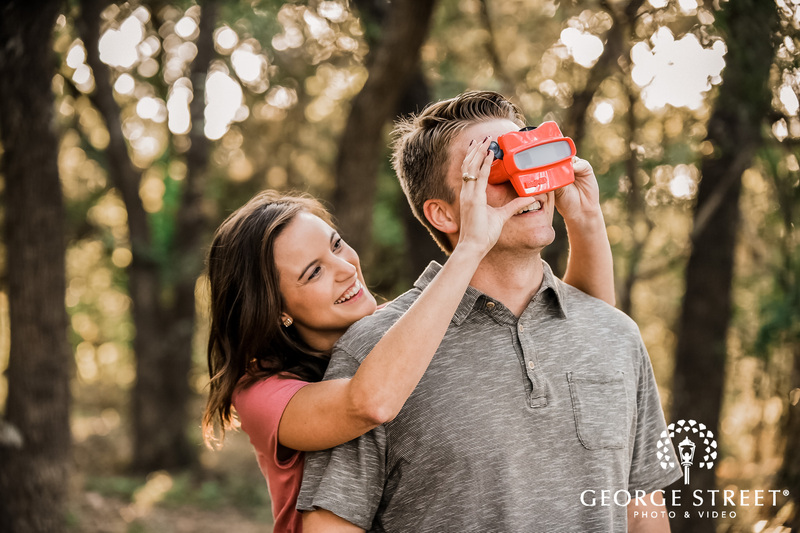 The view master gave us a blast from the past! 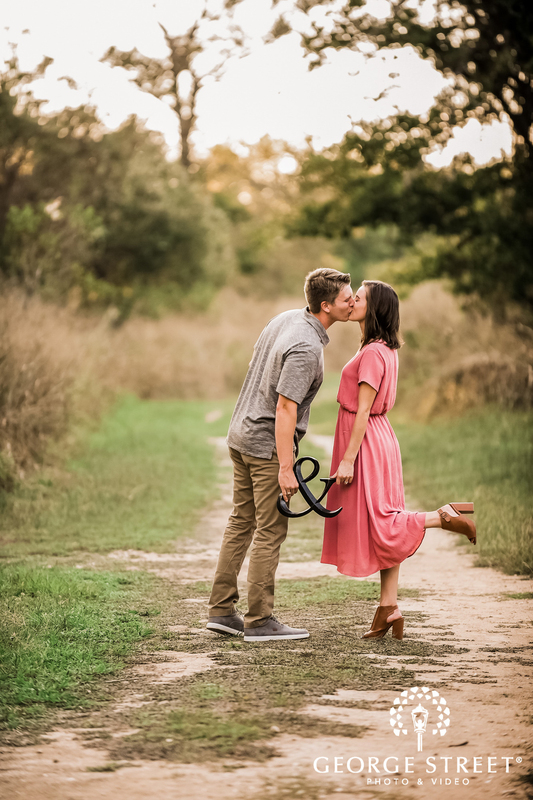 The use of the ampersand was another great touch and matched perfectly with Emily’s dress. 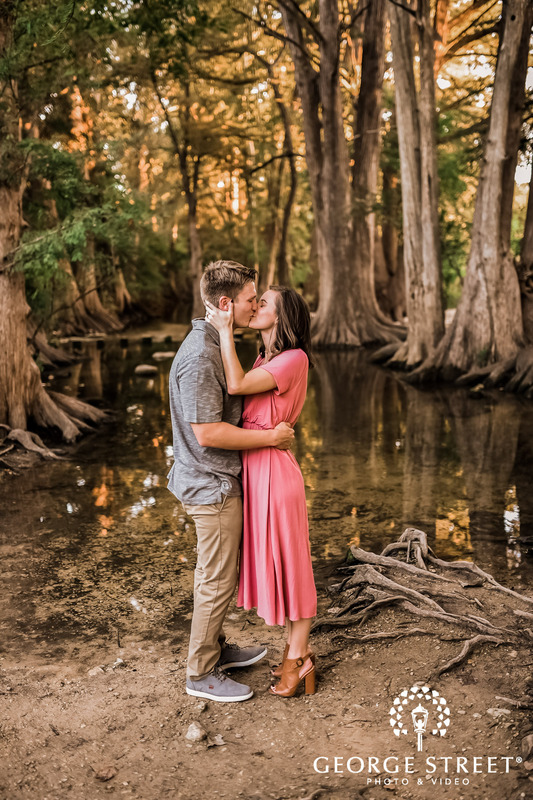 This San Antonio engagement shoot gives us plenty of location inspo. 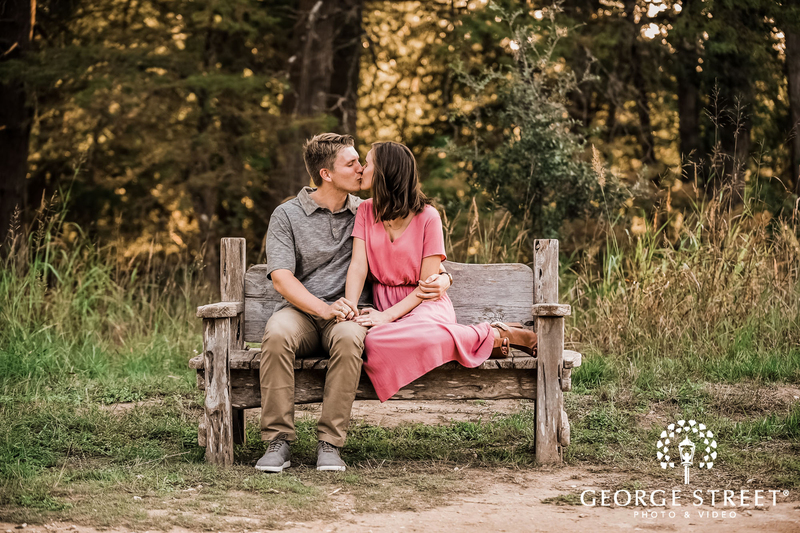 The couple created lots of fun shots, including being featured on a woodsy bench and multiple close-ups of the couple's engagement rings. 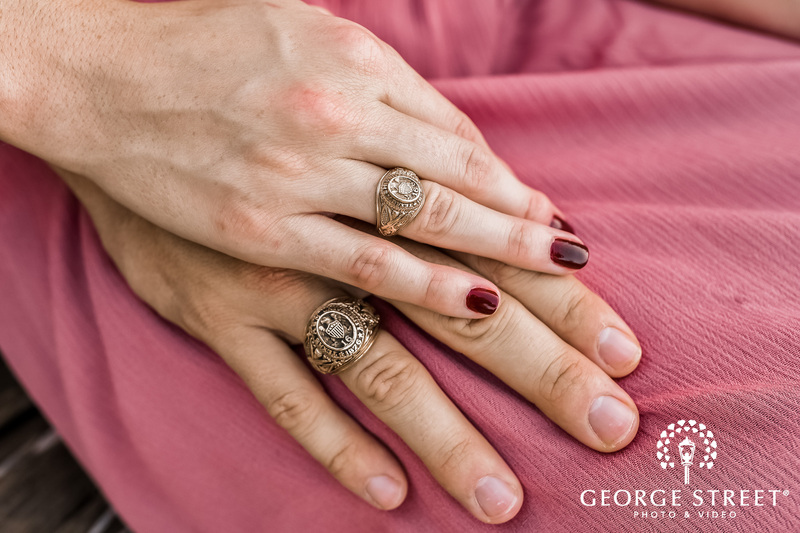 We can't look away from the classic matching gold bands and distinct emblem stamped on top. 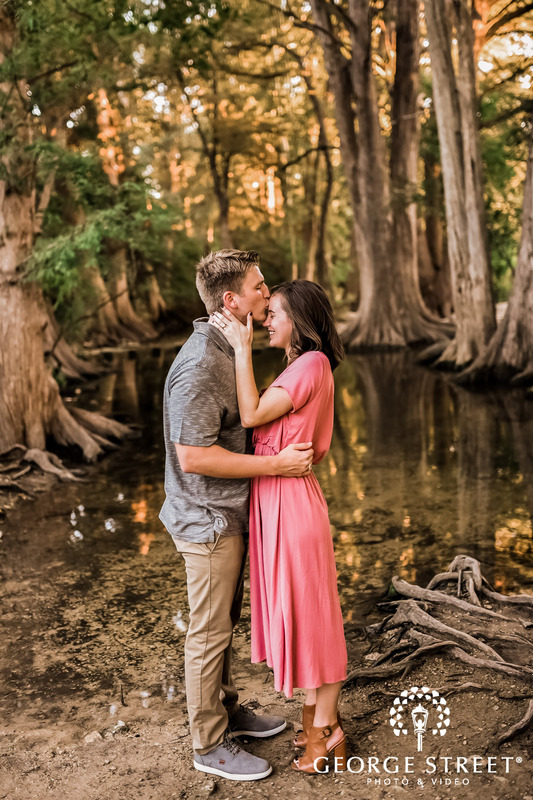 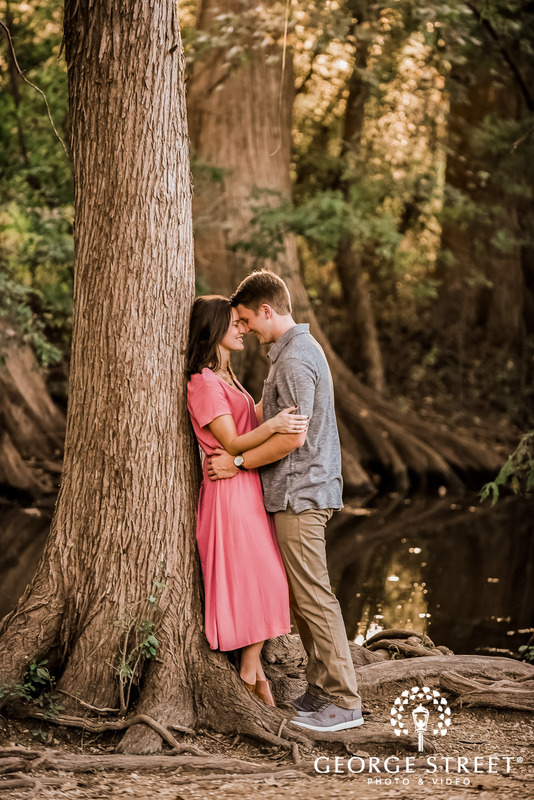 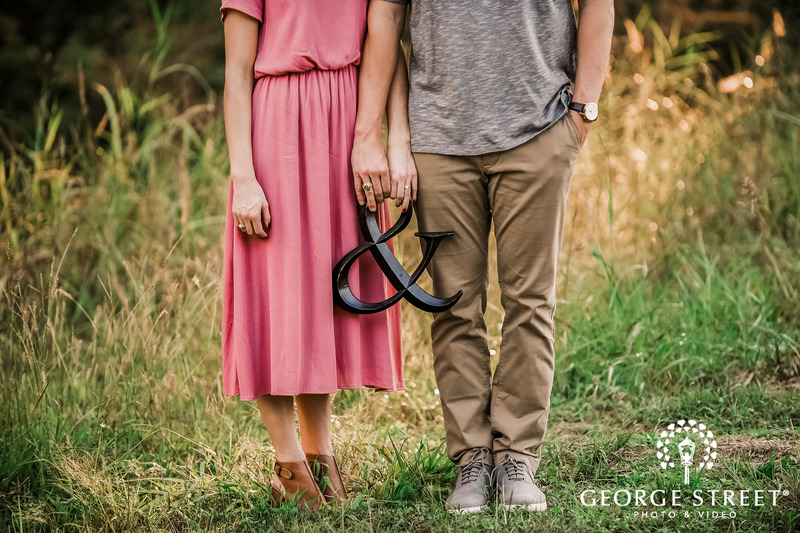 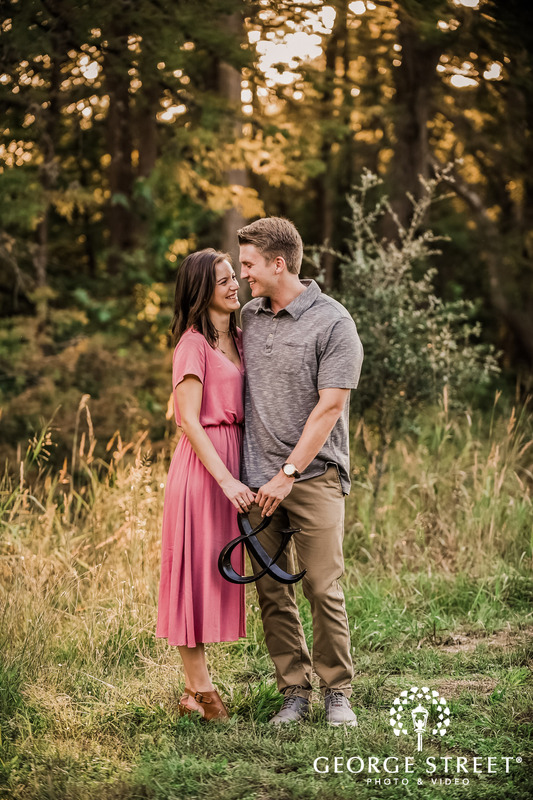 Planning an engagement session of your own? 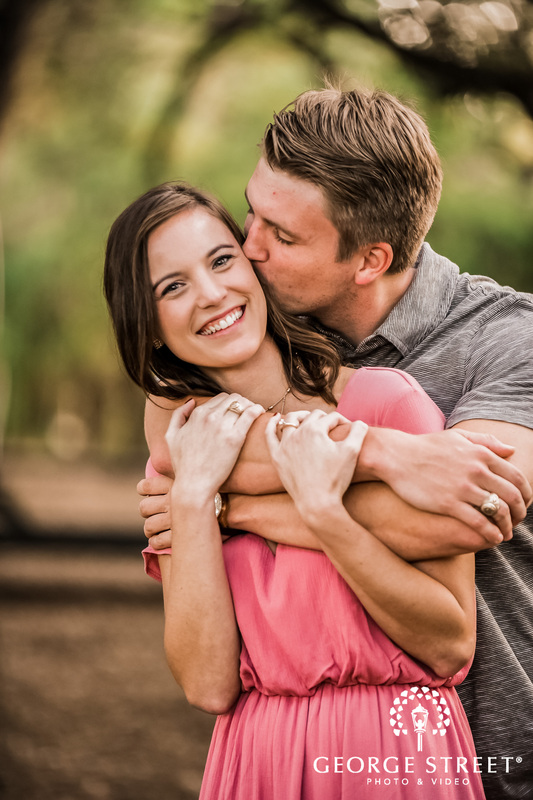 Take a cue from Brett and Emily and add personal touches throughout. 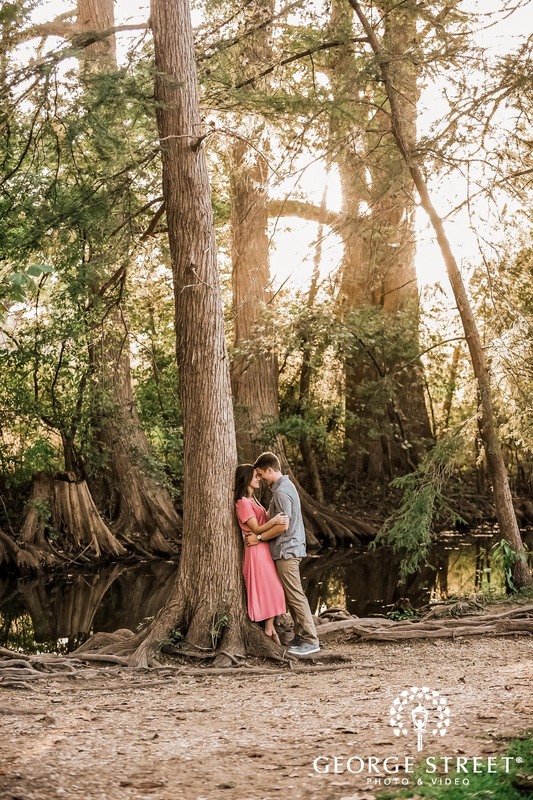 We promise you'll love how the photos turn out!